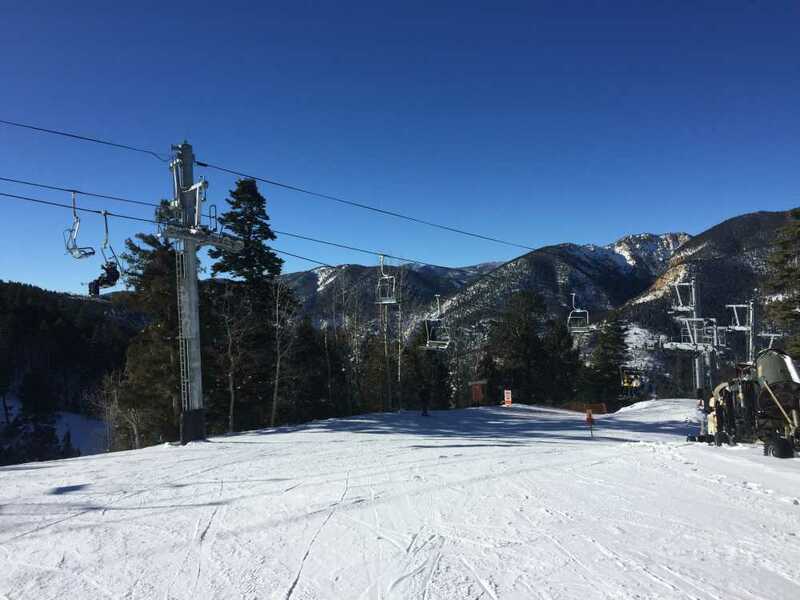 Located in the Southern Rockies just north of Taos Ski Valley, the Red River Ski and Summer Area is a small, friendly town in New Mexico. It’s a small town (population about 500) with a lot to offer families, such as year-round recreational activities, tasty New Mexican cuisine, cute boutiques and festivals – including Mardi Gras in the Mountains. When I tell people I went skiing in New Mexico, they usually assume I mean Taos Ski Valley. 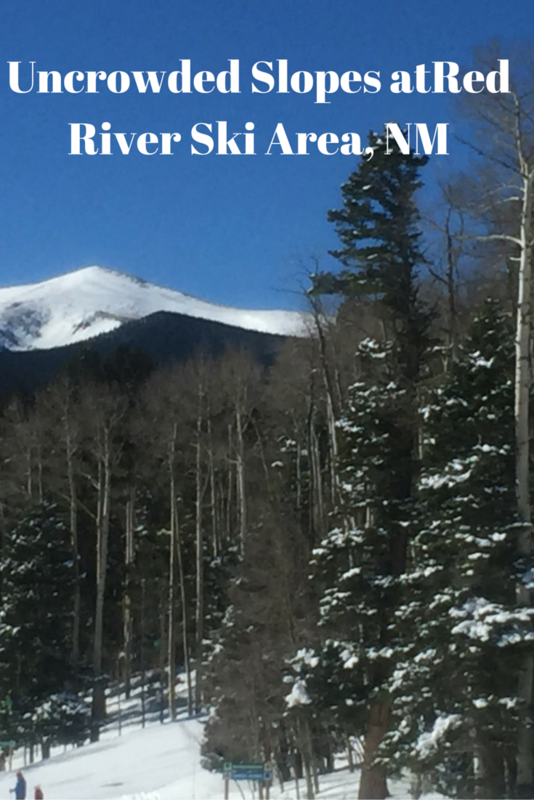 Though it’s near Taos, Red River Ski and Summer Area is different in almost every way. 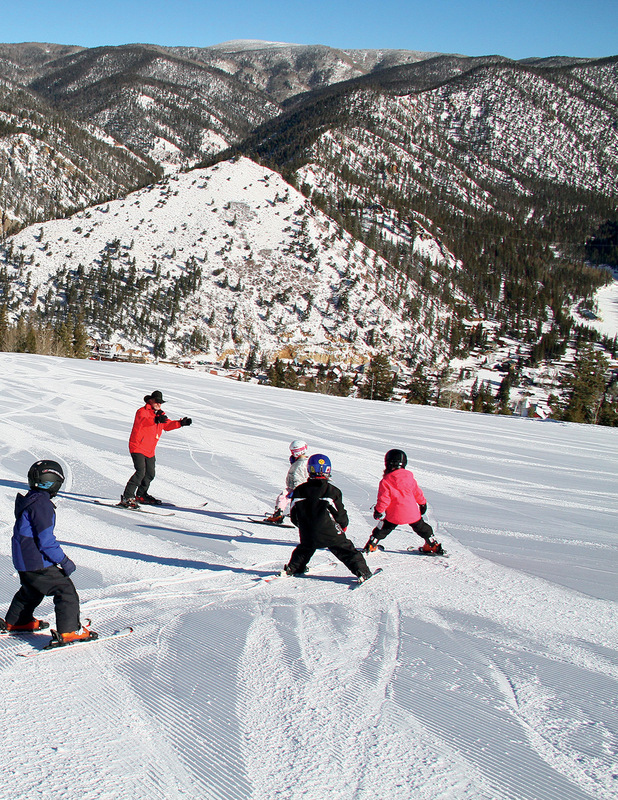 While both are family-friendly, Taos is mostly a steep mountain that attracts skiers from all over. At the base is a charming, European-style village. Red River is an intimate, rustic town with wide open ski runs ideal for beginner and intermediate skiers, although experts will find some steeps and bumps. With fewer than 500 residents, you get to know the friendly locals pretty quickly. It was my second visit to Red River, but my first time there during Mardi Gras – which Red River folks celebrate big time. Even families. The laid-back mountain town, situated near the top of the Enchanted Circle, is about 40 minutes from the Angel Fire ski resort and a three-hour drive from Albuquerque, making it a destination in itself. Since it’s not a day ski resort, it’s rarely crowded. We arrived on the first day of Mardi Gras in time for the Krewe Krawl and the burning of the Wild Loup-Garou. This foot parade down Main Street is led by the Wild Loup-Garou, a fictional character that serves as mascot for Mardi Gras in the Mountains, a six-day festival, this year themed Roaring 20s. Following the short parade, everyone has an opportunity to write down their troubles or worries. These notes are tossed onto the Wild Loup-Garou, which is set afire, signaling the start of Mardi Gras. 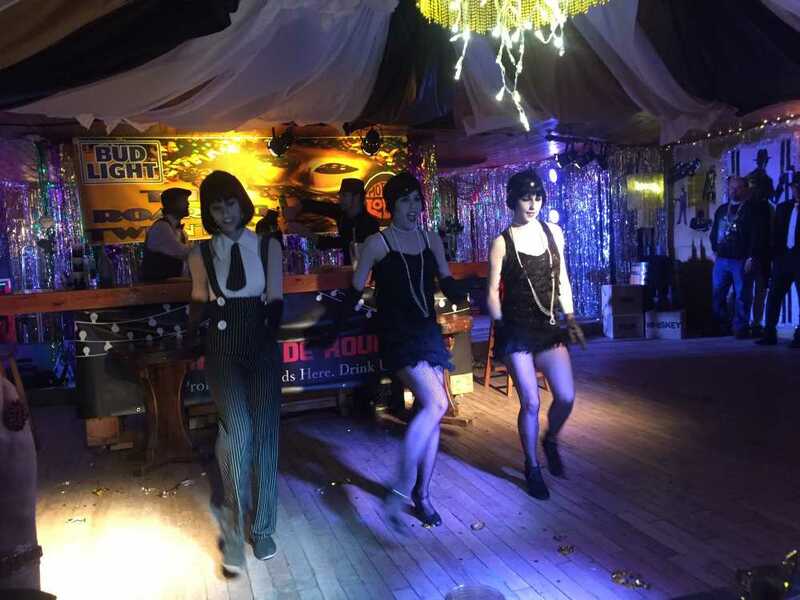 For those 21 and older, the festival continued with dinner and drinks at the Motherlode Saloon, and Bull O’ the Woods Saloon, a local watering hole since 1939. The three days we skied were bliss with uncrowded, perfectly groomed trails and blue skies. The beginners in our group took ski lessons while the rest of us explored the mountain on our own. I was fortunate to ski with a former ski instructor who knows the mountain well and is friends with resort owners, the Judycki family. 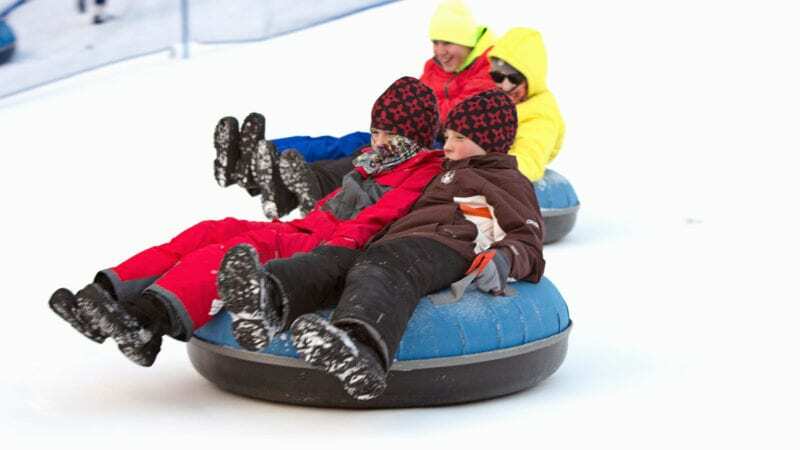 Though Red River is especially known for its family-friendly terrain, it has plenty of expert terrain. And no matter your skill level, it’s fun to ski on a summit trail through a grove of aspens, an easy enough run for most beginners. Kids like this trail so they can ski through a replica of a miner’s camp. Fridays at 1:30 p.m. rangers with the Carson National Forest lead free, customized mountain tours. Depending on participants’ ages and interests, topics may include environmental issues, forest plans, and sustainability. We caught up with the rangers for a tour that discussed snow-making capabilities, updating and moving a chairlift, and other plans that affect the resort and forest. 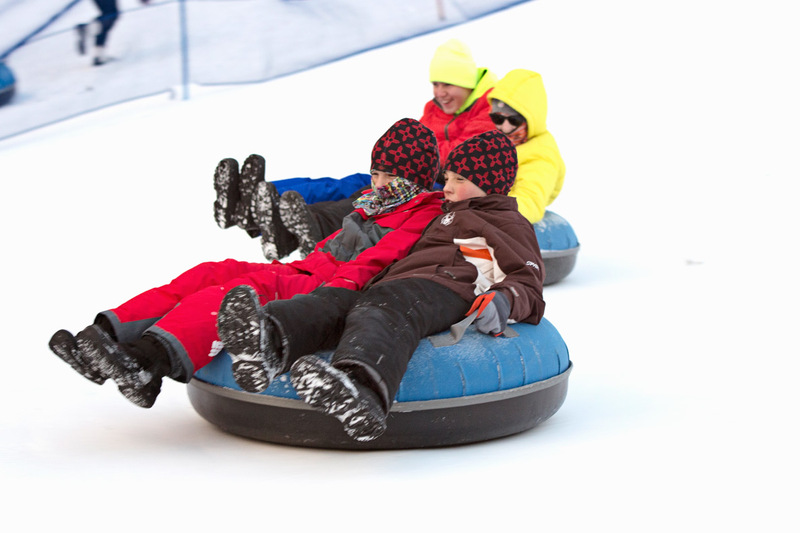 Snow tubing is available at the base of the mountain. In addition, cross country skiing, snowshoeing and snowmobiling are great ways to see the surrounding Enchanted Forest. In winter, snow covered meadows provide ample space for exploring the quiet forest. A group of us went on a guided snowmobile tour with Bobcat Pass Wilderness Adventures. All gear is provided. Our guide, Michael, and his cute three-year-old dog, May, (perched behind him and wearing doggie goggles called doggles!) led the way through a snowy meadow. Events take place day and night. One day, two kids from ski school were chosen as king and queen to lead the children’s parade. The Gator Plunge featured kids sliding down a hill on plastic bags. Afterwards, even our group got to participate in a Mardi Gras Street Parade. Wearing sequined masks, we rode on a float through town, tossing handfuls of colorful bead necklaces to families lined up on the streets. Grown-up events included what I thought was a drink-making contest, but was much more than that. Four groups (locals) entertained us with elaborately choreographed dance shows while their team members made cocktails for the judges. Another evening featured a beautiful torchlight parade down the mountain, concluding with fireworks. There are numerous cozy restaurants to choose from. Most convenient for breakfast is the Main Chalet Cafeteria since it’s located at the base of the mountain. But it’s well worth the short walk to Shotgun Willie’s Café, specializing in huge breakfast burritos stuffed with eggs, sausage and potatoes and smothered in green chili sauce. Great lunch spots include Yesterday’s Diner, a classic 50s spot, and Brett’s Bistro. Capo’s offers an extensive Italian menu with homemade sauces (my ravioli was divine). On our last evening we indulged with the Snow Coach Dinner Tour. It begins with a heated ride in a snow cat up the mountain to the Ski Tip Restaurant. We got there as the setting sun painted the sky in shades of pink. We were greeted by a smiling Chef Kai, who led us inside to a beautifully set table with expansive mountain views. The dinner was amazing. Chef Kai and staff prepared spice rubbed rib-eye with garlic herb butter, and Chilean sea bass in a mushroom garlic white wine sauce. During our meal, Mike, our snowmobile guide, played guitar and sang (it’s typical for locals to wear many hats). After dinner, we rode in the snow cat back down the mountain with the town’s twinkling lights below us. 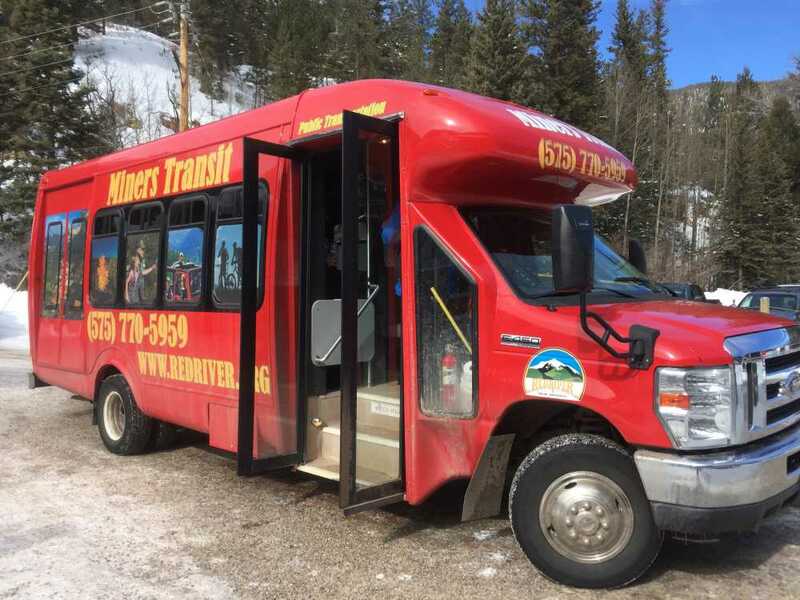 The town’s complimentary shuttle service makes it easy to get around day and night. There are no designated stops. You simply call and the bus driver will pick you up and bring you to your local destination. We found this super handy when leaving the slopes to eat in town. Plus, it’s a smart call to make if you or someone you know has been drinking. 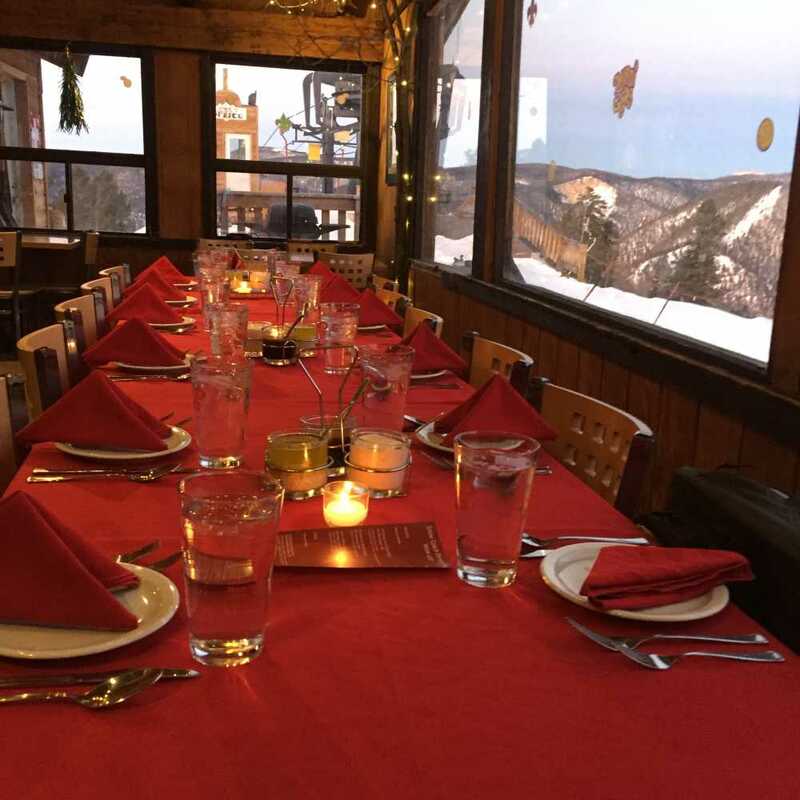 The Auslander Lodge and Condominiums are mere steps from the slopes, and offer one – four bedroom units. I stayed in a two-bedroom, two-bath condo with a kitchen, living room, fireplace and two decks – perfect for a family. Auslander amenities include laundry facilities, conference area, hot tub and children’s play area. Managers Dan and Sherri Foley were very welcoming, warmly greeting guests and asking about their stay.